Today we took some of Gene's friends on a short hike in the valley. 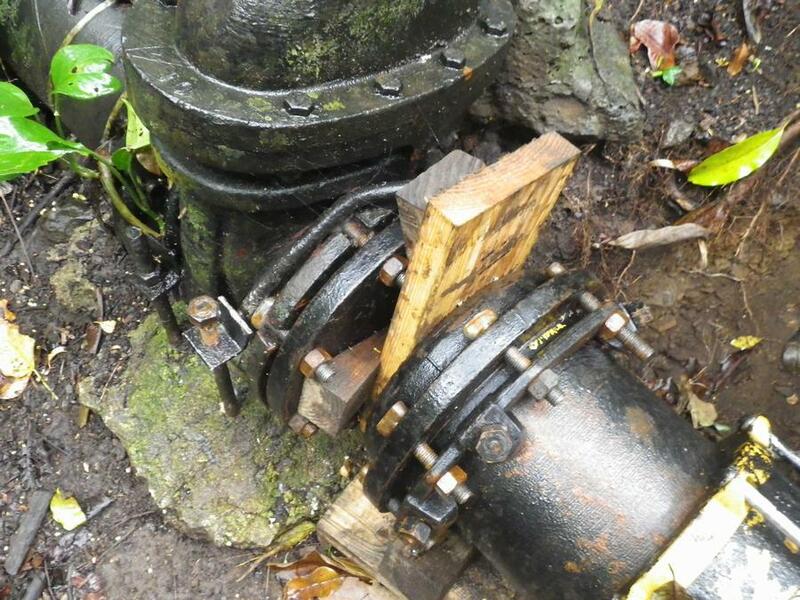 We followed Kanewai Stream to the second plantation dam and then continued up the pipe coming from plantation tunnel #19. A short distance after coming out of the tunnel there has always been a valve w/a "Tee" connection with water shooting out the Tee. Today the water was really flowing with much more pressure and volume. 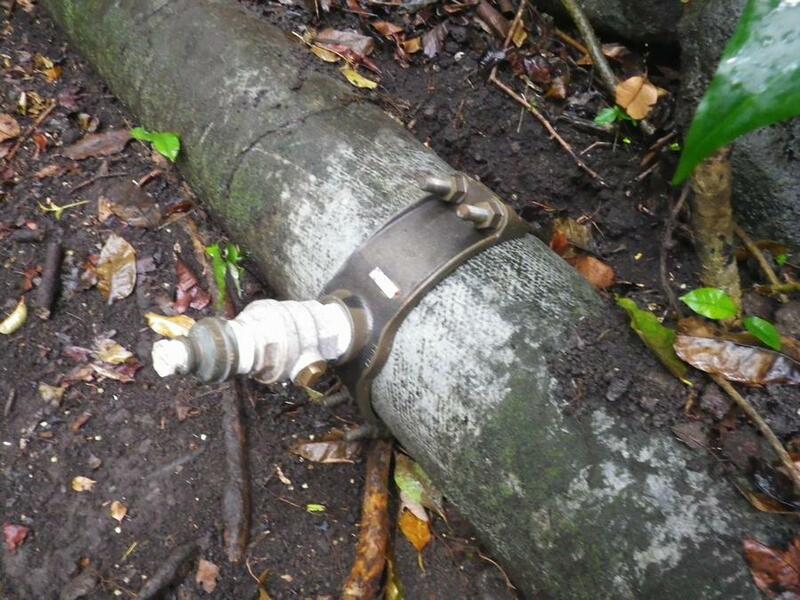 as you can see in THIS VIDEO Turns out the BWS blocked the flow of water below the valve by shutting the valve closed. Above the Tee they attached a small ball valve and a dummy plug above it. Go figure what's going on. 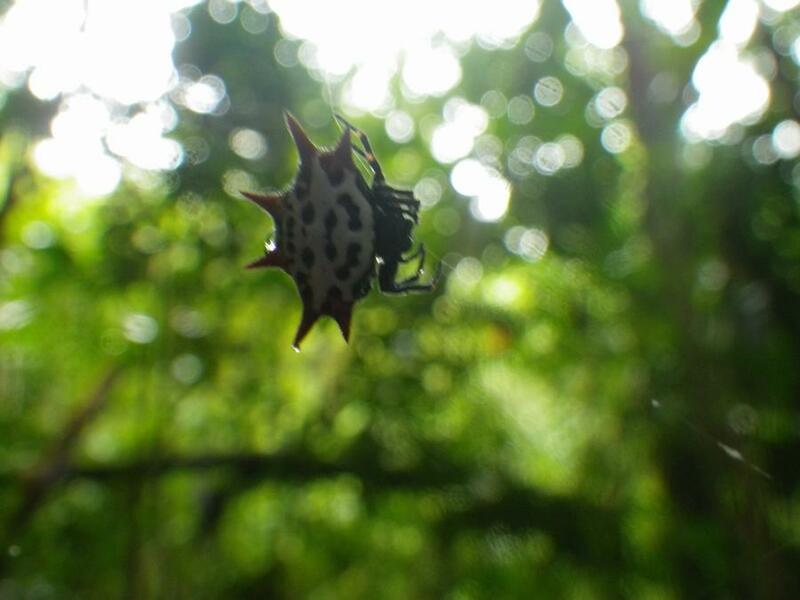 Along the trail we came across an Asian Spiny Back spider. If you've been on the WWW trail and remember the corner of a huge stone wall about 7 feet high. 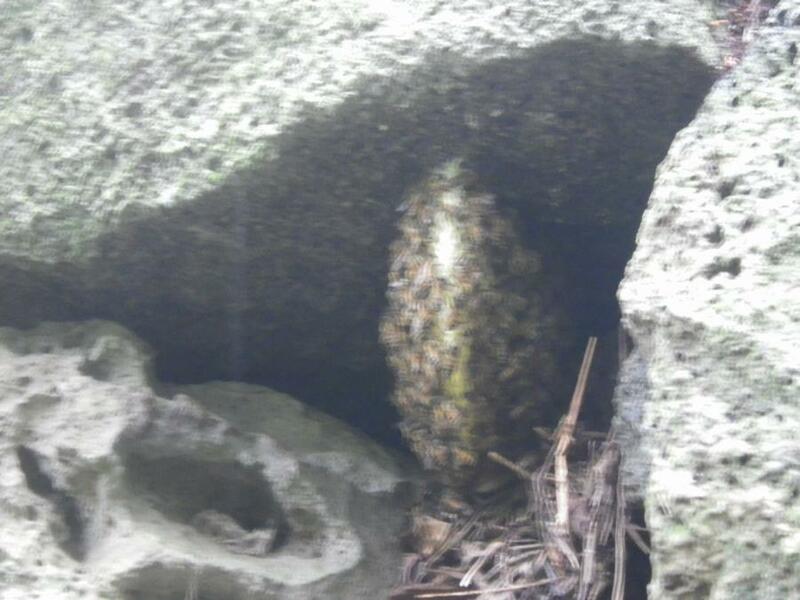 Well there is now an active bee hive at the corner. BEWARE. Sorry for the blurry photo as I wasn't happy standing there taking the shot.